Hydrants are ﬁxed ﬁreﬁghting equipment fed by a piping network to provide ﬁreﬁghting water at a desired pressure and ﬂow rate on the whole area to be protected. Especially for reﬁneries, tank farms or industrial plants, obligations according to ﬁreﬁghting regulations make hydrants an important ﬁreﬁghting equipment delivering pressurized ﬁreﬁghting water on site. C.S.I. S.r.l. 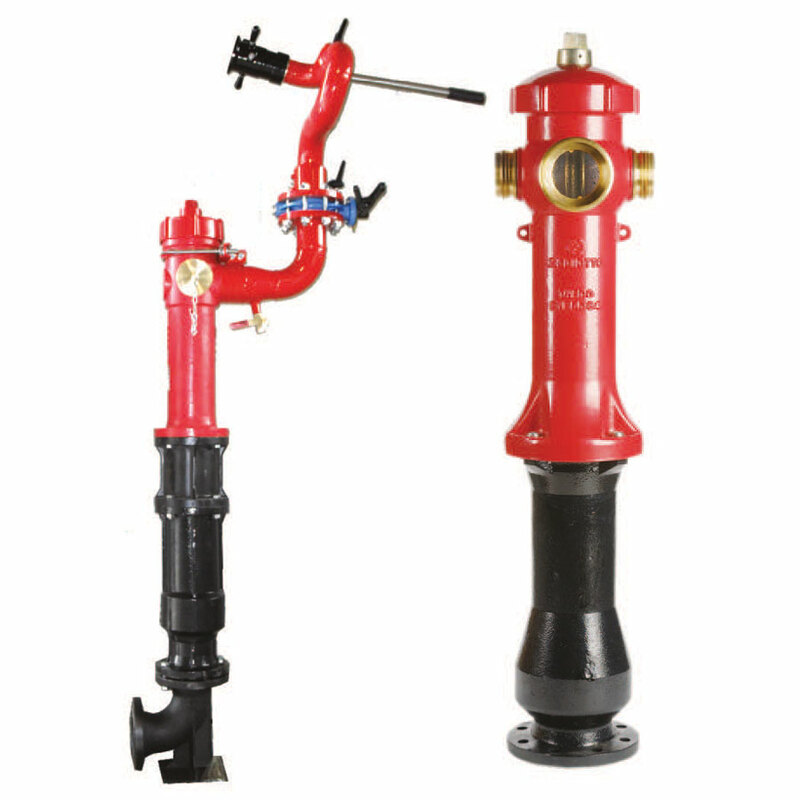 produces wet barrel hydrants with custom dimensions and accessories, used to provide hose connection points, water take up points to connect ﬁreﬁghting trucks and vehicles, or used to contain a monitor at the upper level to connect the monitor as a unit for ﬁrst intervention against ﬁre events. Hose connection valves are located on the main body of the hydrants equipped with quick connection couplings according to countries ﬁre brigade standards. 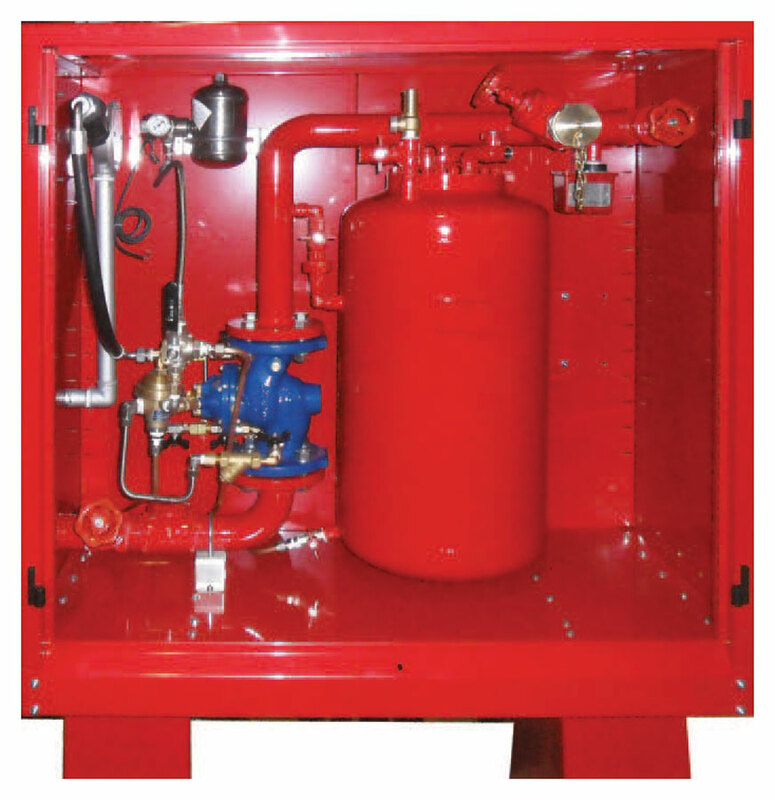 An automatic pressure regulating function ensures ﬁxed discharge pressure, independent from main ﬁreﬁghting mains is provided on request where residual pressure at the hydrant location may be dangerous for pumper's usage. 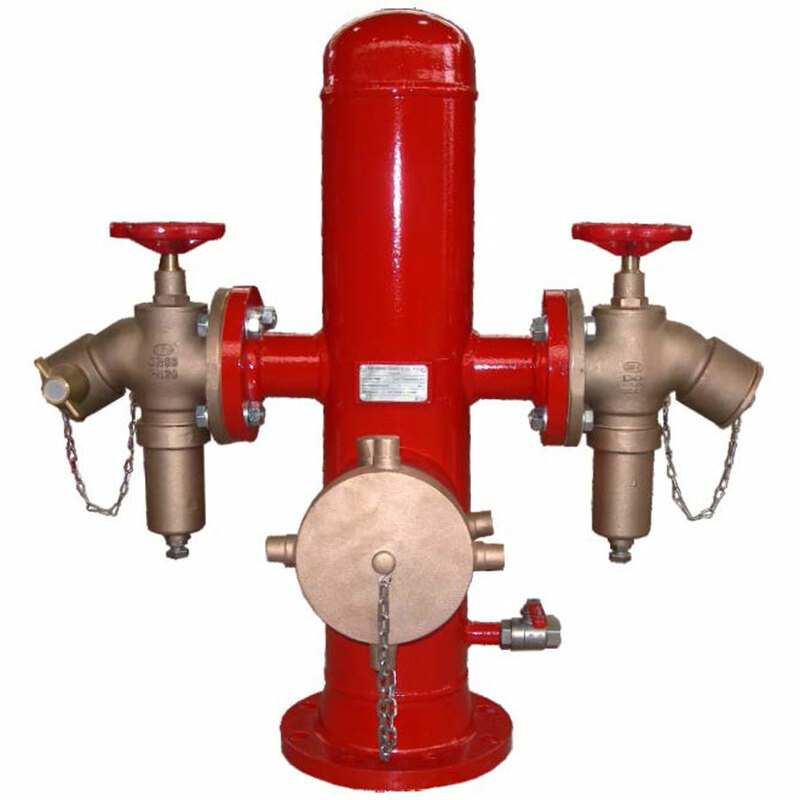 Custom hydrants produced in carbon or stainless steel materials and tailor made according to customer's speciﬁcations and diﬀerent ﬁnishing options are provided such as hot dip galvanization, internal or external high built epoxy coating cycles to eliminate environmental eﬀects where installed. C.S.I. S.r.l. 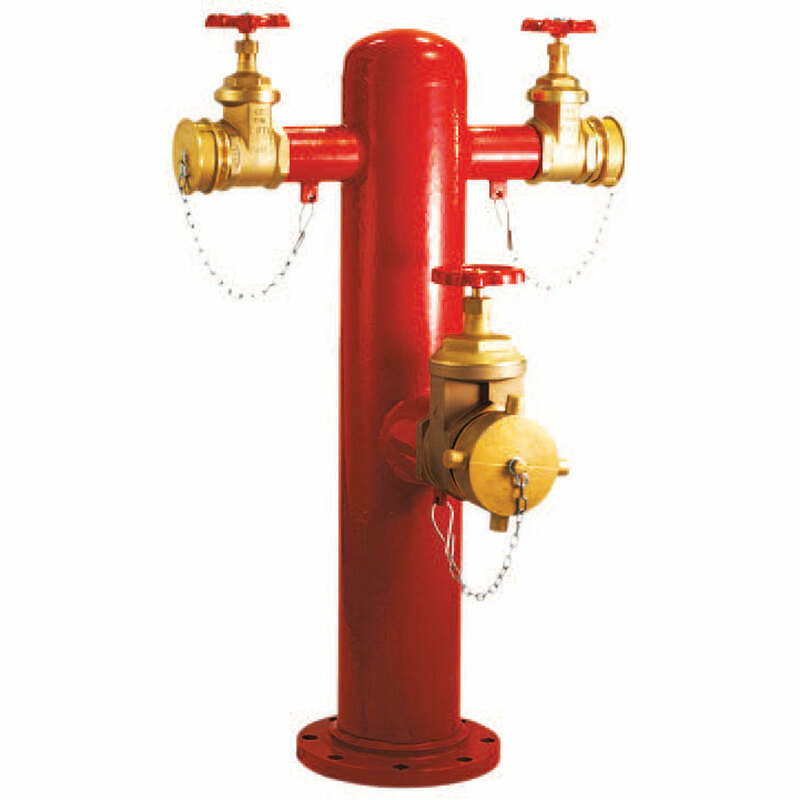 provides standard wet or dry barrel hydrants from third party trusted suppliers on request including anti rupture safety systems and hydrant supports. Hydrants with CE mark provided by our company conform to EN 14384 normative. Self- standing or wall mounted equipment boxes used together with hydrant systems are provided by our company on request to contain all desired equipment like hoses, branch pipes and lances etc. 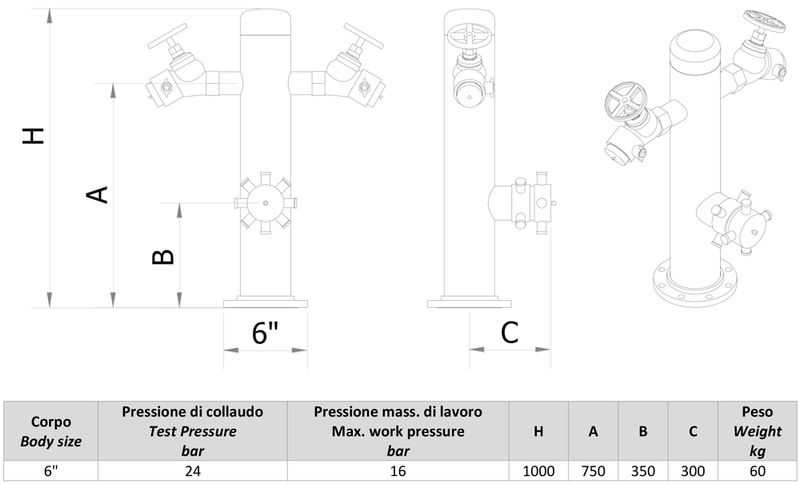 Valvola drenaggio e antigelo: 1" Automatic drain valve: 1"
P.IVA: 02274530183 - Copyright © 2011-2015 C.S.I. s.r.l. - All rights reserved. The reproduction, even partial, in any form or means is forbidden.